The match between three-time champions Mumbai Indians and a re-christened Delhi Capitals was a treat to watch. 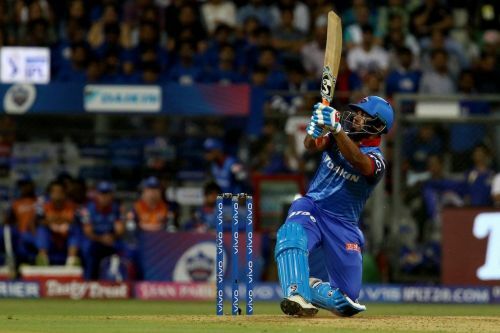 The match, which proved to be a run-fest, was ruled by left-handed batsmen, namely Rishabh Pant and Yuvraj Singh. While Pant made an outrageous 78 off just 27 balls, Yuvraj did his best by scoring a 35-ball 53. In the end, the younger southpaw's side triumphed over the Mumbai-based franchise by 37 runs. At the toss, the Mumbai Indians had a surprise in store for everyone as they handed a debut to the 17-year-old fast bowler from Kashmir, Rasikh Salam. After winning the toss, Mumbai asked the visitors to bat first on a batsman-friendly surface. Delhi Capitals did not get off to a good start as they lost the wickets of opener Prithvi Shaw and skipper Shreyas Iyer before the end of the powerplay. After the loss of two wickets, Shikhar Dhawan and Colin Ingram steadied DC's innings. They added 83 runs for the third wicket after which Colin Ingram got out having amassed a 32-ball 47. After Ingram's dismissal, Rishabh Pant joined Dhawan in the middle but the partnership could not prosper as Dhawan too got out without scoring a half-century, just like Ingram, at the start of the sixteenth over. After being stifled for 5 deliveries, Pant unleashed the monster within him in the fifteenth over. In the last 36 balls of their innings, the Delhi Capitals scored 99 runs thanks to outrageous hitting from the Delhi wicket-keeper. Pant smashed Mumbai's bowlers to all parts of the Wankhede to reach his first half-century of the season in just 18 balls. Even the mighty Jasprit Bumrah had to face the wrath of Pant and as a result, ended up conceding 31 runs in his last two overs. Rasikh, who impressed in his first 3 overs by giving away only 21 runs, conceded 21 runs off the 19th over. As a result of Pant's 27-ball 78, Delhi Capitals ended up posting a total of 213/6 in 20 overs. The interesting fact about the onslaught is that none of the Mumbai bowlers had an economy rate of less than 10. During the huge chase, Mumbai Indians kept on losing wickets at intervals. While players like Quinton de Kock (27, 16 balls, 4*4, 1*6), Kieron Pollard (21, 13 balls, 2*4, 1*6), and Krunal Pandya (32, 15 balls, 5*4, 1*6) played small cameos, it was Yuvraj Singh's half-century that kept Mumbai in the game. With lack of support at the other end, Yuvraj had to take far too many risks and in the end, was dismissed in the nineteenth over after scoring 53 off 35 balls. While Ishant Sharma dismissed both the openers of Mumbai, it was Kagiso Rabada who dismissed the last two recognised batters Yuvraj Singh and Ben Cutting to seal the deal for Delhi. Man! Rishabh makes bowlers seem Rabhish. Jasprit Bumrah - if you need, please take my shoulder. Yuvraj was a legend, is a legend and will remain legend. Performances in these IPL games can’t decide how great a player he is, he still remains a champion and a fighter. Delhi team looks very happy.